Our Howling Halloween will kick-off in The Orchard park with a creepy crawlers show and scary monster makeovers at 2pm. Kids will also get to paint a pumpkin to take home. Then we’ll start our scream contest with our resident Frankenstein. The winner of the scream contest will win a prize from Frankenstein! 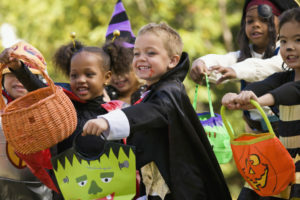 Later, we’ll wrap up the Halloween festivities with our annual mall trick-or-treating from 4pm-7pm. *These activities are subject to change pending weather. In inclement weather, activities will be moved to the indoor kid’s playground.